Central Bureau of Investigation (CBI) files case against website hacking ! Dec 4 (IBNS) Confirming reports of its website being hacked, the Central Bureau of Investigation (CBI) on Saturday said it has registered a case under Information Technology Act. "It has come to the notice of the CBI that its official website was unauthorisedly accessed and defaced in the intervening night of December 3 and 4. A case has been registered in this connection in the cyber crime cell of the CBI,” an official spokesperson told media on Saturday. India's federal investigating agency said efforts are on to restore the website. "Efforts are underway to restore the website with the help of National Informatics Centre and the CBI cyber security experts," said the spokesperson. On Friday, there were reports that the website of India's federal investigating agency has been hacked. The CBI’s website remained inaccessible today after it was hacked, ostensibly by a Pakistani group, and a case was registered without anybody being named. A group calling itself Pakistan Cyber Army had left a message on the CBI’s home page last night claiming to have avenged hacking of 40 Pakistani websites by Indians. Exposing the vulnerability of Indian cyber space, the Pakistan group claimed to have also hacked 270 other Indian websites in response to attack on Pakistan internet domains by a group calling itself “Indian Cyber Army”. The CBI was stumped by the attack and invoked the Information Technology Act to register a case. No one has been named in the FIR and the CBI claimed it would ensure an early restoration of the website. The hacking shows how unsafe the servers of National Informatics Centre (NIC) that hosts government websites are. “It has come to the notice of the CBI that its official website was illegally accessed and defaced in the intervening night of December 3 and 4,” said a CBI statement informing about the registration of case with the agency’s cyber crime cell. The agency seems to be clueless about who attacked the website and all it claimed that message of “Pakistan Zindabad” was put on its website. This is not the first time NIC’s security system has been hacked. 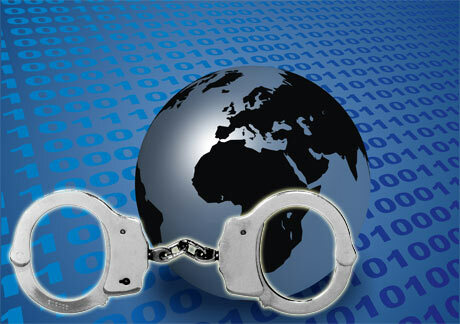 Chinese hackers have launched successful attempts in the past and even stolen documents from Indian government websites. Visitors to the site - www.cbi.gov.in- were redirected to a page that says the site has been hacked by a self-proclaimed ‘Pakistani Cyber Army’ to avenge the hacking of Pakistani websites by ‘Indian Cyber Army’. The hackers posted the message ‘Pakistan Zindabad’ (Long Live Pakistan) on the site. The ‘Pakistan Cyber Army’ claims it has hacked another 270 websites.